I always thought that Kelly Hrudey was a pretty respectable, hard working guy who cares about the fans. After last week, I KNOW he is all those things and I am sure many more. In a span of 8 days I wrote him a letter, mailed it off and had all three cards I send out back in my possession, signed (which is a new personal best). One really cool thing, is he sent back the letter that I had sent him with a little message from him (no, not dear customer). When you send off an autograph request, it is always great when you get them back autographed because in my experience almost half of the requests never make it back. But, the one thing I enjoy even more than a successful request is when the player includes a little bonus or a note like Kelly Hrudey did. To me, this is a sign that the player appreciates the letter as much as you appreciate their autograph and it is a gesture that I think speaks volumes about what the player thinks of their fans. It might have taken Kelly an extra 15 seconds to jot down a little message, but for me, that little gesture meant more to me than the autographs he signed. Needless to say in addition to three nice autos, I end up with a letter back - which I will certainly keep - with a personalized auto. The first card I mailed away is from the 89-90 OPC set. As far as collecting cards is concerned, this set represents the beginning of the huge hockey card boom in the early 90’s. These sets were pretty much all massively over produced so none of them are really valuable like many kids had hoped they would be. Please note the sweet Jofa helmet and the nasty goalie pads that probably wouldn’t be suitable for anything other than road hockey! 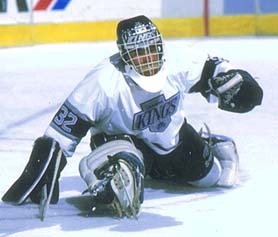 When I think of Kelly Hrudey’s playing days I remember him wearing the unorthodox helmet in a L.A Kings uniform. 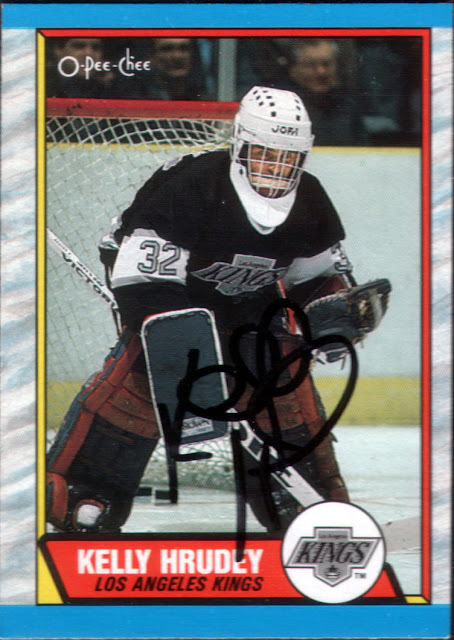 The last card was one from the 95-96 Collector’s Choice set. 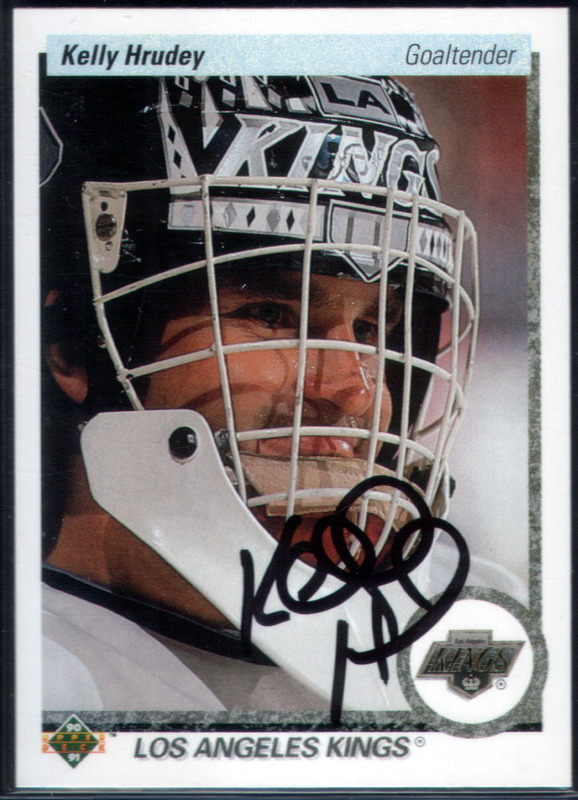 I chose this card because it was Kelly’s last season in L.A and as you can see he had gone Hollywood with his mask. In addition, it also looks as if he has had an equipment upgrade throughout his time with the Kings. 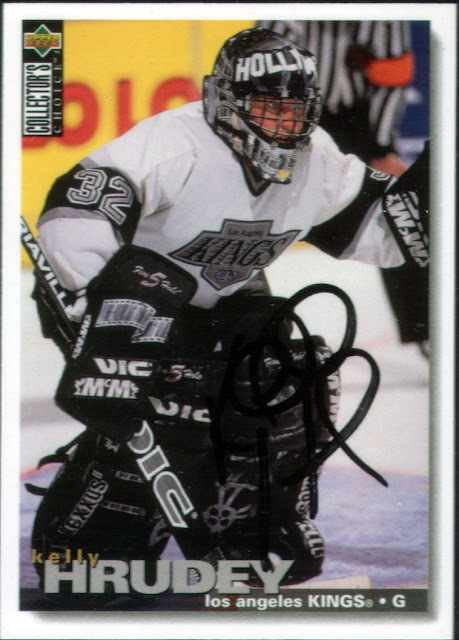 I thought it would be cool to have an autograph of different cards showing his transition of goal gear throughout his career. Though, in hindsight this card is not the best choice for someone using a black sharpie! 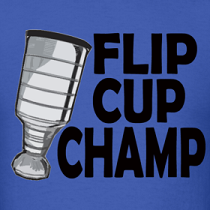 Currently as most of you know, Kelly Hrudey is working for the CBC. He started off in small roles with HNIC and as each year goes by he gets more and more camera time. I really enjoy seeing him on TV and the transition from player to broadcaster was a pretty natural one for him in my opinion. Who know, maybe he will replace Don Cherry someday during the first intermission. Have you given up on receiving back any cards you sent because it's been so long? I always loved Hrudey's old school jofa bucket. I don't have any that I have given up on yet. Most I have noticed come back in about 6 weeks but I still have a few requests out there from 6 months ago. I might give up on them after a year but I have heard stories of some requests making it back to the person 2 years after they sent it. I loved that little blue ribbon he use to have hanging out of his helmet. Don Cherry use to always rip on him for that.